Theorem 8.9 The line segment joining the mid-points of two sides of a triangle is parallel to the third side. 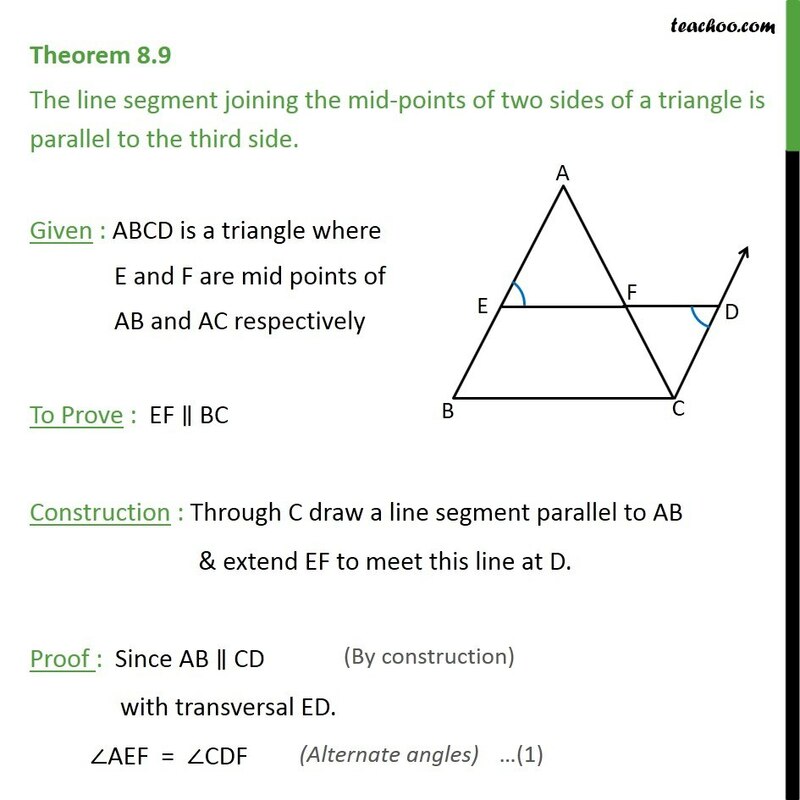 Given : ABCD is a triangle where E and F are mid points of AB and AC respectively To Prove : EF BC Construction : Through C draw a line segment parallel to AB & extend EF to meet this line at D. Proof : Since EB DC with transversal ED. 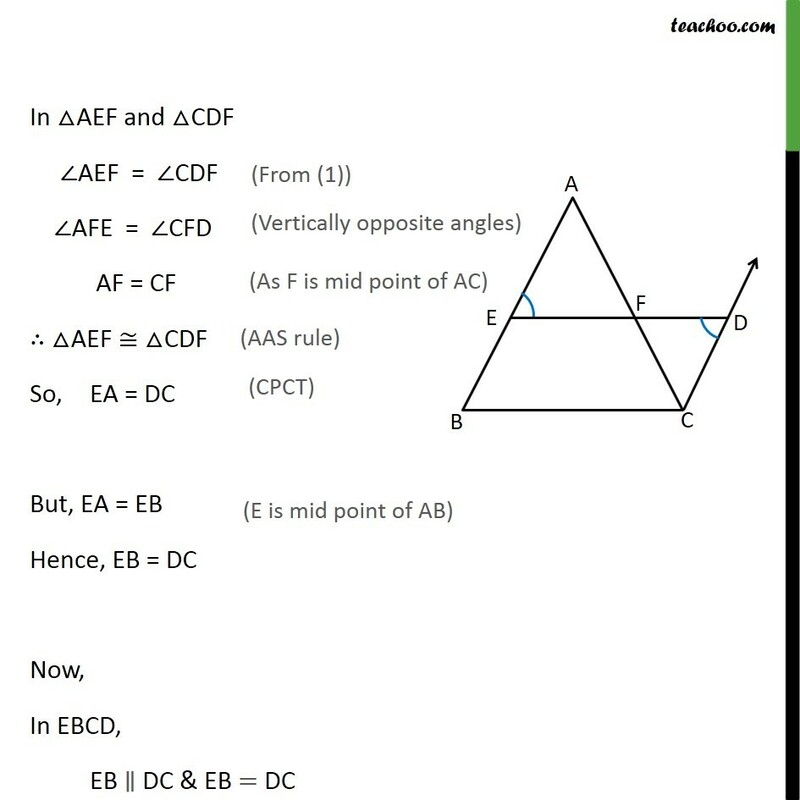 AEF = CDF In AEF and CDF AEF = CDF AF = CF	AFE = CFD	AEF CDF So,	EA = DC	But, EA = EB	Hence, EB = DC	Now, In EBCD, EB DC & EB = DC	Thus, one pair of opposite sides is equal and parallel. Hence EBCD is a parallelogram. 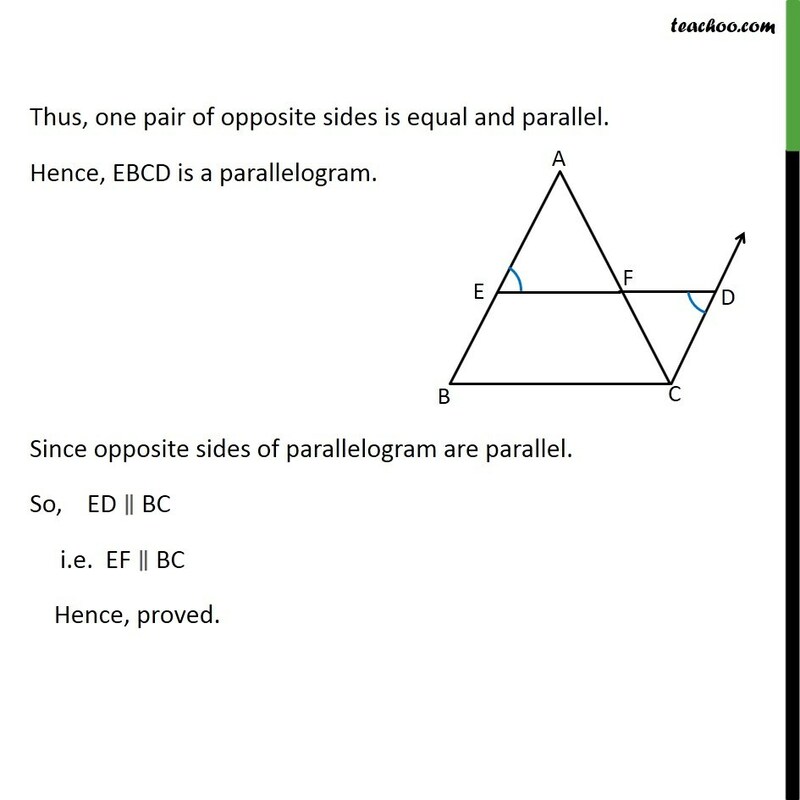 Since opposite sides of parallelogram are parallel. So, ED BC	i.e. EF BC Hence, proved.